Hot chocolate stir sticks are perfect for when you need a little extra chocolate! And let’s face it… who doesn’t need a little extra chocolate?!? You can easily customize these treat by changing the colors of your sprinkles, too! I remember as a child coming in from the cold absolutely freezing. The best part about becoming a human popsicle was the hot chocolate! Not much has changed. 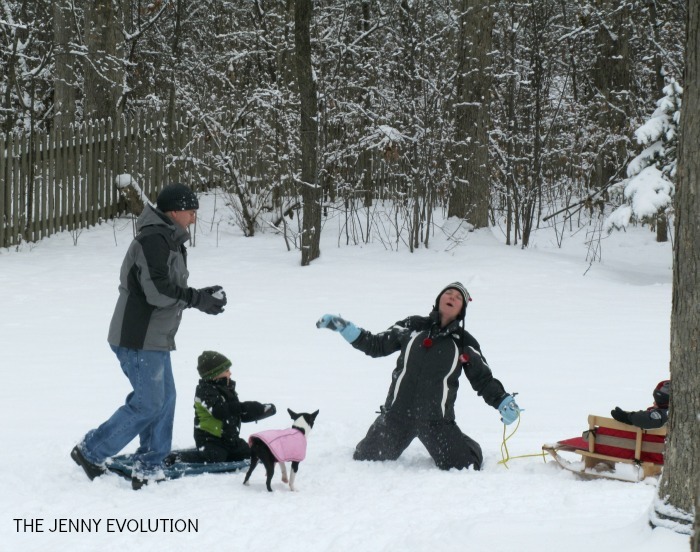 I still love going out into the snow with my boys. But if I have my druthers, I like my hot chocolate to have some oomph to it. 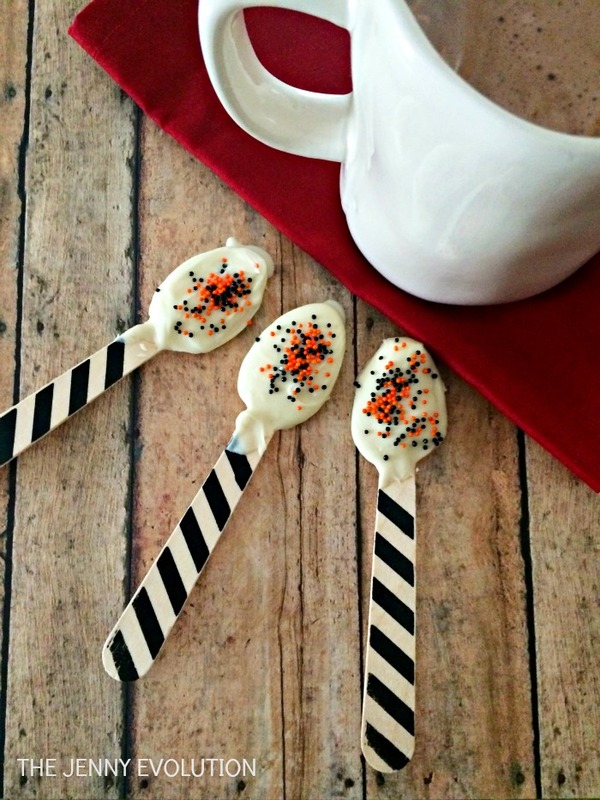 These hot chocolate stir sticks are just the trick! They’re ridiculously easy, stay fresh for a while and add an extra pop of chocolate heaven to my heated drink. Try my Copycat Starbucks Hot Chocolate Recipe! 1. Pour your chocolate chips into a microwave safe bowl. 2. Cook your chocolate chips on 50% power for 2-3 minutes while stirring every 30 seconds. 3. Once your chocolate is melted, dip your spoons in the chocolate one at a time. 4. While the chocolate is still Melty sprinkle a few sprinkles on top of your spoons. 5. Set them in the fridge for 20 minutes or until hardened. 6. Next time you make a cup of hot chocolate, use these for a little extra sweetness. Next time you make a cup of hot chocolate, use these for a little extra sweetness. Pour your chocolate chips into a microwave safe bowl. Cook your chocolate chips on 50% power for 2-3 minutes while stirring every 30 seconds. Once your chocolate is melted, dip your spoons in the chocolate one at a time. 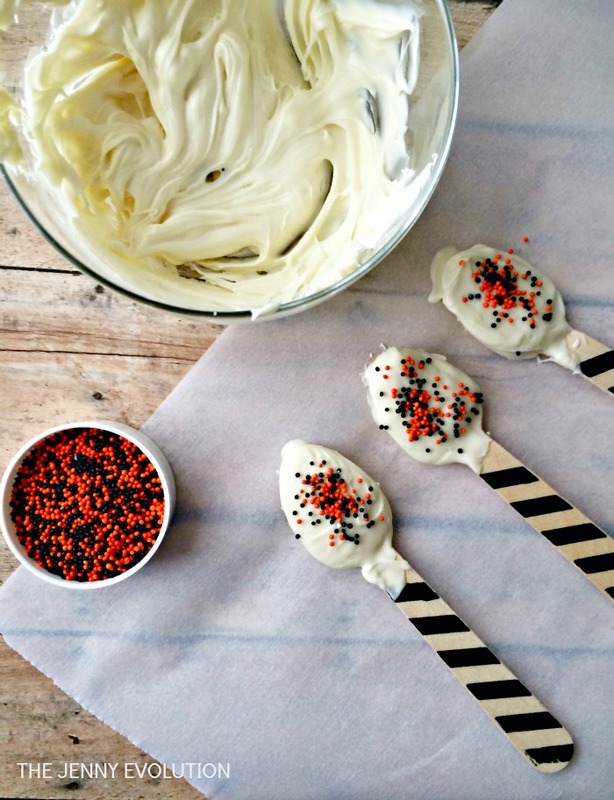 While the chocolate is still Melty sprinkle a few sprinkles on top of your spoons. Set them in the fridge for 20 minutes or until hardened. These are amazing. 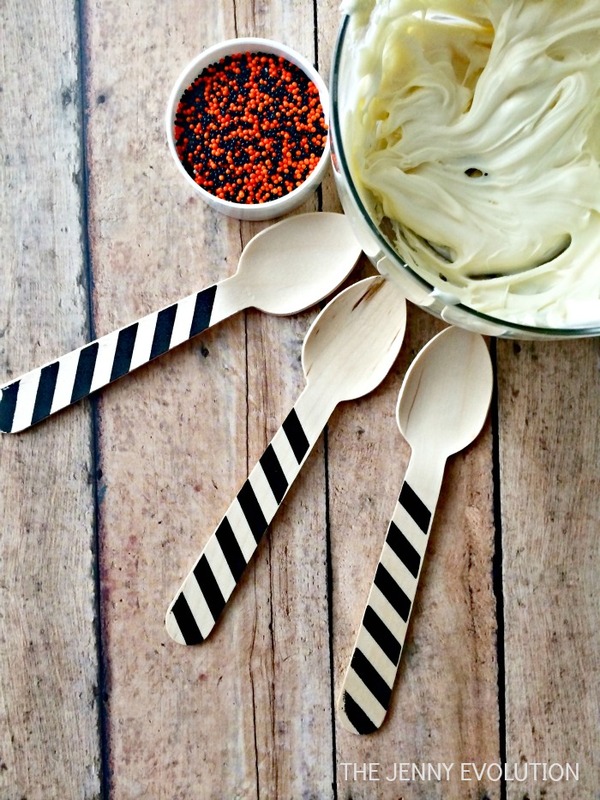 I love the design on the wooden spoons! I have a daughter who loves her hot chocolate! I think we need to make these! hand out as gifts .. So much fun and a great little kids activity! Thanks for sharing on craft schooling Sunday! We love hot chocolate and we’re going to love these! They seem so indulgent… but are ridiculously easy to make. Enjoy! Who needs a little extra chocolate? Me! (raises hand) As soon as my kids go out in the snow, I know it’s time to put the hot chocolate on for when they come back inside. 🙂 These stir sticks will make it extra special next time. I love giving these stir sticks as gifts, too! My kids would love these sticks. Thanks for sharing with us at Throwback Thursday. Hey, Jennifer! 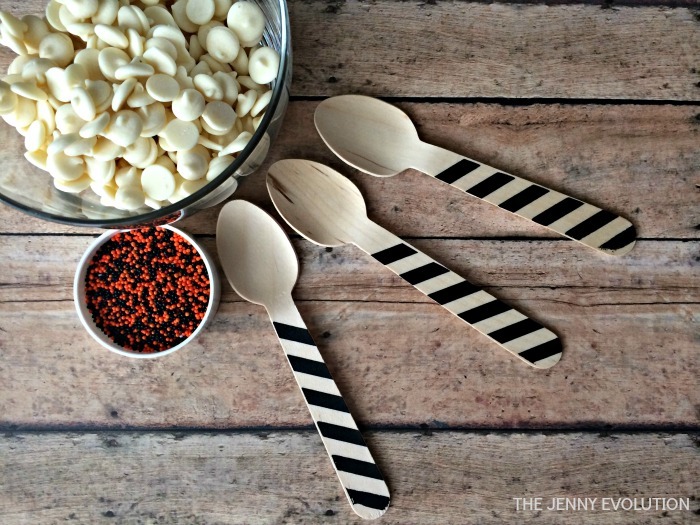 Just wanted to let you know that we loved your Hot Chocolate Stir Sticks so much when you shared it at the #HomeMattersParty last week, we’ve FEATURED it THIS WEEK! Hope you can check it out when you get a sec. Happy Monday!!! Yes! This is just what a cup of hot chocolate needs! Thanks for sharing at Merry Monday! What a great gift for a hostess this time of year. Thanks for sharing at the What’s for Dinner party – enjoy the rest of your week! Thanks for sharing this recipe at Fiesta Friday. I can always use a little more chocolate in my life! What a great idea! I think I’d like to stir some chocolate into my coffee every now and then too! Thanks for sharing at Fiesta Friday – don’t forget to add the party links in for your chance to be featured the following week!